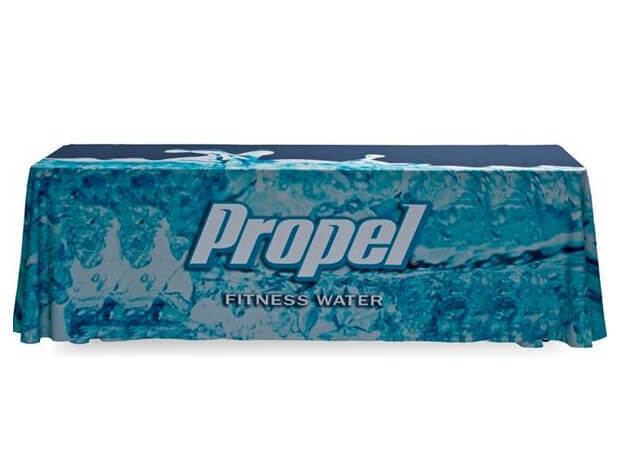 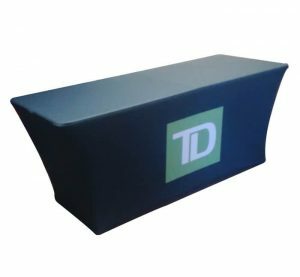 Embellish a table with a Table Throw that promotes your brand name and product, during your next special event or trade show. 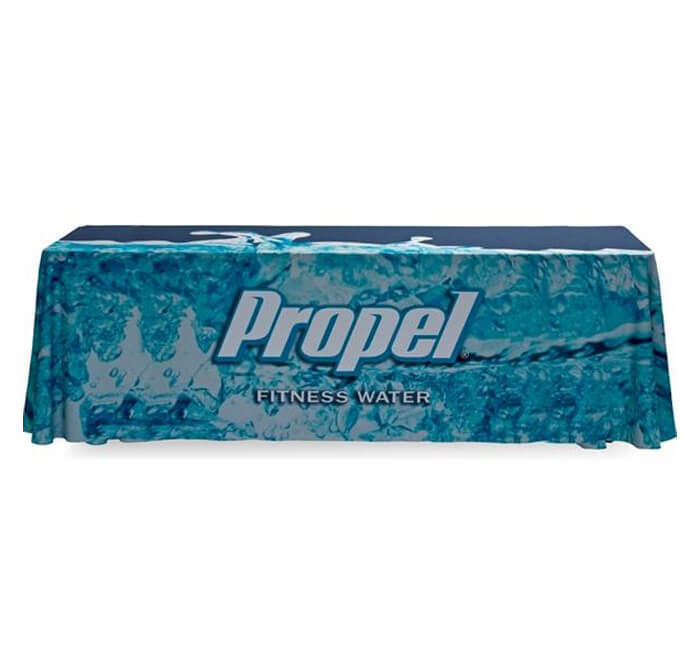 Available in standard and custom sizes, the Table Throw is a single piece of fabric that seamlessly covers all 4 sides of a foldable table. 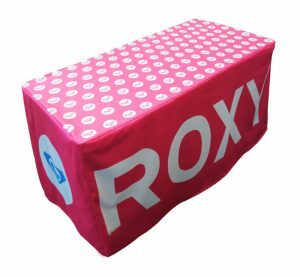 Single piece fabric- No visible seams!